Decadent doughnut brand Doughnut Time has just released its hotly-anticipated 2019 Easter doughnuts range and there are two tasty new vegan options. Doughnut Time, the brand known for their over-the-top indulgent doughnuts, has just released two delicious vegan doughnut flavours in its London stores in celebration of Easter. In true Doughnut Time form, they are not only visually stunning but taste amazing and each has names inspired by pop-culture including Marilyn Bunroe and Jason Bourneville. 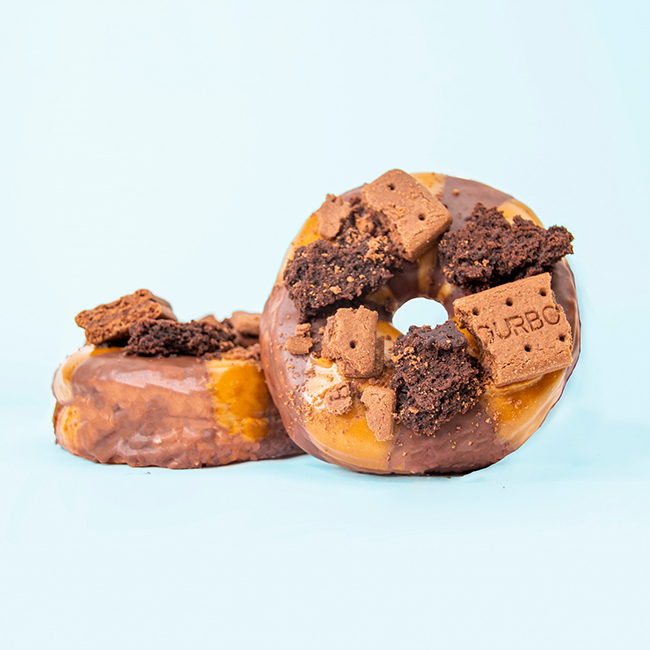 The Marilyn Bunroe flavour is a vegan hot cross bun glazed doughnut with sultanas and the Jason Bourneville is a vegan chocolate and caramel glazed doughnut topped with vegan brownie and Bourbon biscuits. If you’d like to treat yourself to an Easter doughnut, they are priced individually at £4.50 and you can pick up a four-pack box for £16.00. 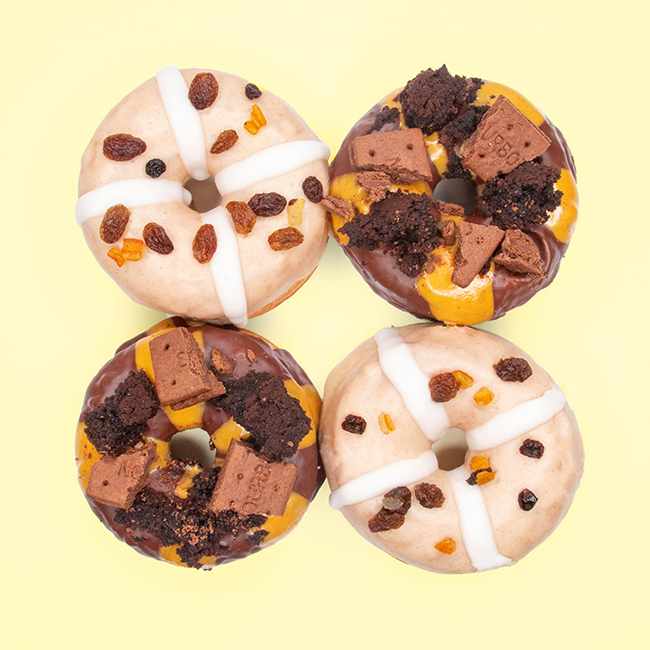 The limited edition Easter flavours are available from all 10 Doughnut Time shops around London from 5th April until 27th April 2019.